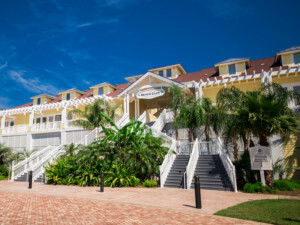 Upon arrival, remember to visit the Front Desk at the Beach Club. You will learn about our beautiful property, where things are, how things work, and a brief overview of important rules and regulations which will enhance your stay with us. Here you will also receive your wristbands which are stamped with the current gate code. This gate code will permit you entrance to our amenities. All visitors and owners must wear a visible current wristband to gain entrance to our facilities. Have questions on what you need to bring with you on your vacation? Below is a handy list of things you might not think to bring. Any children unable to swim independently must be accompanied in the water by their parent or adult guardian. Walk; do not run in and around the pool deck or climb on flower pots, tiles or ledges, including the edge of the infinity pool. Due to the shallowness of the pools, diving, somersaults, cannon balls, and other unsafe activities are not permitted. Children under 3 must wear approved swimsuit diapers and are encouraged to use the children’s pool. Persons in any form of non-aquatic under garments are not permitted in the pools/spas. Acceptable swim attire must be worn on the decks and in the water. Those with religious concerns regarding modesty may wear clean, covering garments that do not interfere with their safety in the water. Large flotation devices are not permitted. Property or furniture belonging to the Beach Club and Sunset Pool should not be removed from the facility. All persons are urged to cooperate in keeping the facilities clean by properly disposing of all food containers, soda cans, etc. Animals are not allowed in the pool areas, with the exception of service animals. Service animals are allowed on the decks, but not in the water. NO Food or drinks are allowed in the pools/spas or along the edge of the pools/spas. Radios or music players may only be used with earphones. Emergency procedures must be observed. Swimmers must leave the pool area immediately upon the signal or request of the Beach Club Personnel. Any abuse of Beach Club Personnel, amenities, or rules will not be tolerated. A guest will be verbally warned for the first offense; the guest will be asked to leave the pool facility if a second offense occurs. No outside alcoholic beverages are allowed in the Beach Club. No open containers are allowed in the Beach Club. No glass Items are allowed on either pool deck. Parents must be submersed in the spas with children under the age of 13. Smoking is ONLY allowed in the bar areas of both Beach Club & Sunset Pool sites. If entering the Beach Club from the beach, please shower before entering the pool. 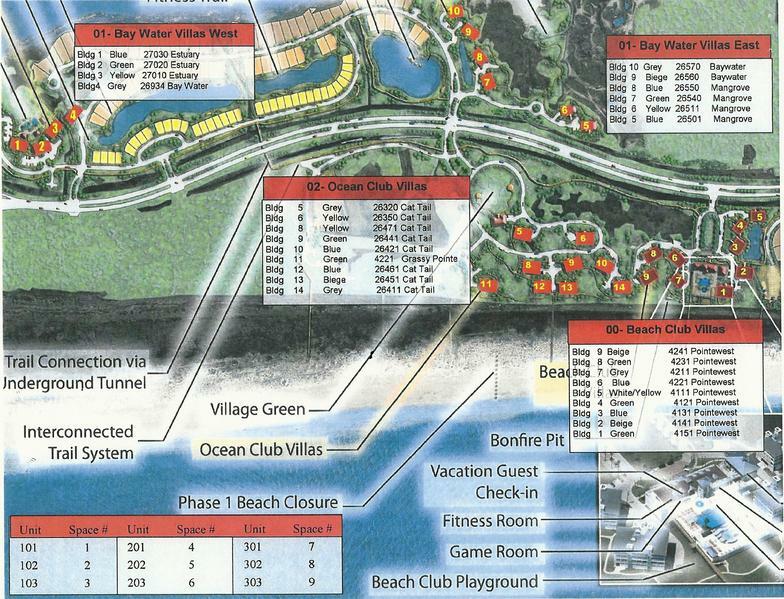 Showers are located along the dune walk at the rear of the Beach Club, on the dune walk at the upper gate to the Beach Club, and in the restrooms. Do not put chair in the pools. The Property Owners Association of Pointe West has instituted a wristband fee applicable to all guests beginning on January 1st of 2015. Off peak season – September 16th to February 28th; Beach Club wristbands will be free for non-owners staying in our community. During peak season – March 1 through September 15; Beach Club wristbands will be $10.00 per person for all non-owners aged 4 and over. If a wristband is lost, there is a $25.00 replacement fee per wristband. The number of bands issued will be based on the occupancy. The occupancy is 3 times the number of bedrooms in your rental property. Ex – 3 bedroom will be able to purchase 9 wristbands. Guests (not staying on property and just coming down for the day) of guest (staying on property) may request a day pass for $25.00 per day. Day passes will only be available if pool occupancy can accommodate on requested day and will be managed with paper, single day dated wrist bands. Guests or friends of owners can only use the facilities free of charge when accompanied by the owner and at a number of guests within the owner’s occupancy. Otherwise, they will be charged the appropriate wristband fees. Wristband fees will be charged for all non-owners from the age 4 and up.